Bruce Springsteen and the E Street Band are hitting the road for a world tour with 19 shows in the U.S.
Bruce Springsteen and the E Street Band announced Tuesday they will be playing in Los Angeles on April 26 during their 2012 "Wrecking Ball" world tour at the LA Memorial Sports Arena shortly before they begin their already announced European leg of the tour. LA's performance is one of the 19 scheduled U.S. shows in 16 cities beginning on March 18 in Atlanta and wrapping up in the singer's native state in Newark, N.J., on May 2. 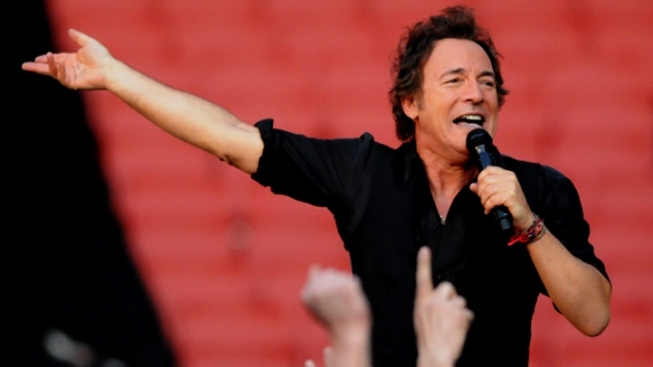 The Boss will also be playing in San Jose on April 24. The announcement of the U.S. tour dates came one week after Springsteen announced his 17th studio album, "Wrecking Ball," set to release March 6. "Bruce has dug down as deep as he can to come up with this vision of modern life," Jon Landau, Springsteen's longtime manager, said on Springsteen's official website. "The lyrics tell a story you can't hear anywhere else and the music is his most innovative in recent years. The writing is some of the best of his career and both veteran fans and those who are new to Bruce will find much to love on 'Wrecking Ball,'" Landau said. After finishing the U.S. portion of their world tour, Springsteen and the E Street Band will spend the rest of the summer touring Europe. This would be their first tour since the death of saxophonist Clarence Clemons last summer. Tickets for the LA and San Jose shows go on sale Feb. 3.